I am working on a design for tubular upper control arms. I really like the threaded ball joints because it is a cleaner look. However, making them to accept the OEM style ball joint would make things easier because the ’97-99 ball joints are apparently different than the ’00-03 ball joints but they must fit the OEM upper control arm bolt hole pattern in the control arm. I’m not sure yet what the difference is but it may be the angle such as 7-degree vs 10-degree. I will probably buy one of each and measure them. One thing that just came to mind is that I have the Viper brake conversion kit from Sidewinder when they were still in business. 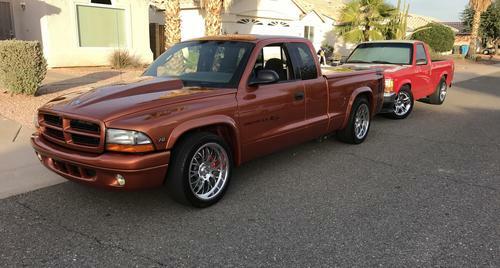 My truck is a ’98 and the kit uses the ’03 knuckle. 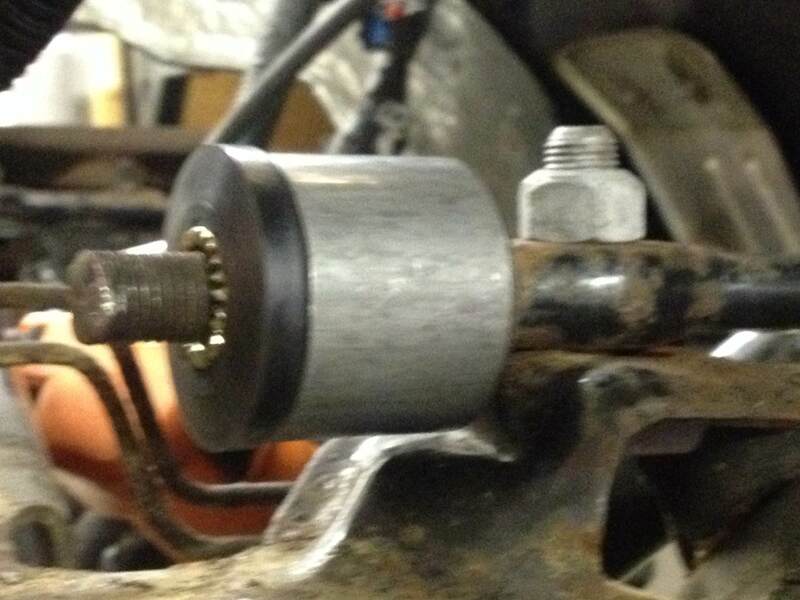 If the angle of the ball joint shaft is different, then how am I using the ’98 ball joint with the ’03 knuckle? If the '03 knuckle is 10-degrees then maybe the 7-degree fits inside albeit not perfectly??? I’m going to have to pull it apart and see what is what. If anyone has any input in this regard I will appreciate it. I've got 03 bj's bolted on my 98 control arms and the mounting bolts lined up perfect. 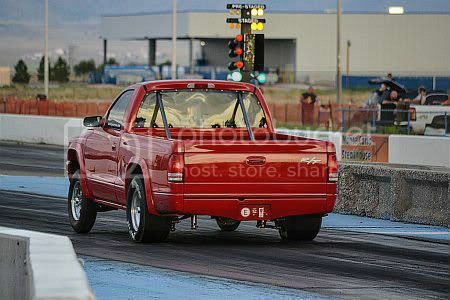 Yes, I have the 03 knuckle/rotor conversion. Drill the mounting pads as standard and let the customer decide which bj's are applicable. That is the beauty of making it fit the OEM ball joints. However, more work to fab and not as clean looking. That will probably be the way to go though. I'm stilling looking for the difference in the possible ball joints and am looking into the screw-in type because that is what I would prefer anyway. I did order various ball joints so I can compare and measure. Did you notice any problem inserting the '98 ball joint into the '03 knuckle? I don't remember any but that was a while ago and I wasn't looking for it. I guess you didn't after rereading your post. Did you notice any problem inserting the '98 ball joint into the '03 knuckle? Edit: I guess you didn't after rereading your post. I too did Darrens Viper brake swap on my 2000 with 03 spindles. Went right on my still factory ball joints no issues. 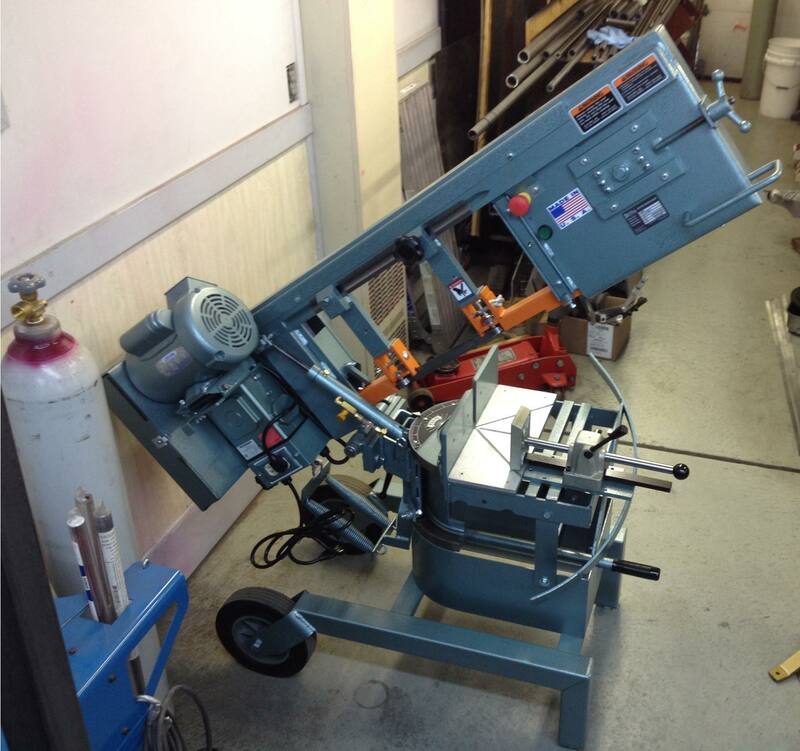 Bought a new Ellis horizontal mitering bandsaw in anticipation. Been looking for a few years and couldn't find one used. Sick of using a messy chop saw or vertical band saw not meant for thicker steel or aluminum. Moog part numbers are diff but the taper per foot is the same. Possibly 3 bolt pattern is slightly diff? I appreciate the source. Some similarities and some differences. I did order a variety of ball joints so when I get them I will have a better idea of what they are. Not sure about the hole pattern. They apparently use the same control arm so I don't know. I guess if some of the holes are slotted that could allow the use of different hole spreads. Using the band saw yesterday and I screwed up wiping out all the teeth on my new $75 band saw blade. It’s a good thing I had a face shield on because it spit all the teeth right into my face. Glad you're alright. Sometimes they'll come at you like a machine gun. Usually happens when the new guy is cutting thin sheet metal with an extremely course blade. Yeah, it was my fault. I eased into the cut and then abruptly turned the feed speed too high. Using a 5-7 TPI blade on 1/8" at a steep angle of cut. I removed the driver’s side upper control arm to check ball joint fitment and for use after rebuilding to make a fixture for tubular control arms. EDIT: I referred to the upper ball joint in the video as the K727 but it is actually the companion upper K772. It appears that using a screw-in ball joint may not be the best solution. It may be possible to reem the taper in the steering knuckle to make it fit better but that is out of the realm that most people care to or are capable of dealing with. Once tightened down there is no wobble but under extreme loads it may not be as secure. 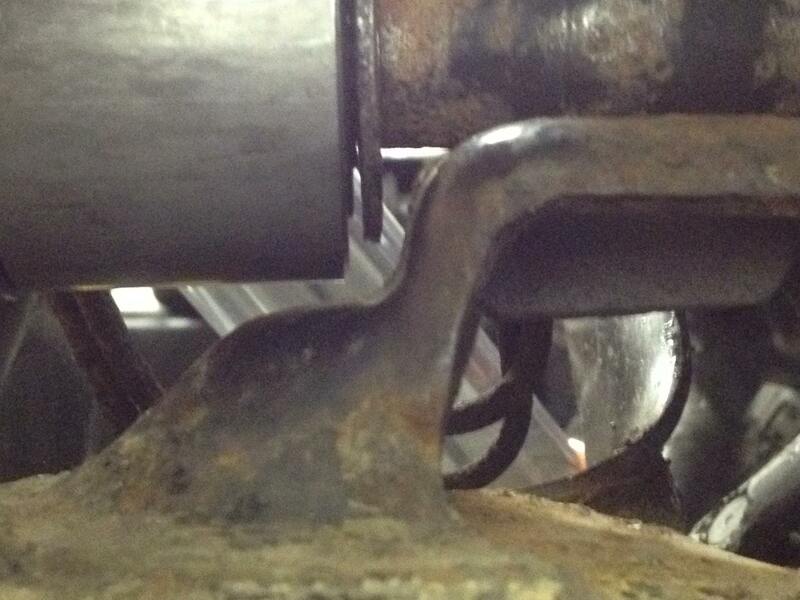 It appears that using the stock ball joint is the way to go. Also, the ’00-03 ball joint has larger bolts securing it to the control arm than the ’97-99 ball joint, so the ’00-03 ball joint would be an upgrade over the ’97-99 ball joint. Anyway, I will purchase a new upper control arm to make a fixture from so I am not working with a tweaked part that may screw things up. Last edited by 98Dak408; 07-07-2018 at 04:07 PM. Control arms that will actually fit. Well, I guess the upper control arms for the 2WD '98 Dakota have been discontinued. When I find a rare listing on ebay for the 1998 Dakota, the part number that is shown is for the 2000-2004 Dakota. I wonder if the 2000-2004 driver's side Dakota has a different part number than the 1997-1999 Dakota merely because the ball joint uses larger fastening bolts than the 1997-1999 Dakota? That was the only real difference that I can see when comparing the two ball joints. I will order the 2000-2004 upper control arms because I need them anyway to verify mock-up and then compare the driver’s side with the upper control arms on my 1998 Dakota. I am now thinking that they may work with the benefit of the larger fastening bolts. You guys that have changed out your upper control arm bushings in your stock upper control arms with poly bushings, were you able to get everything apart without destroying the washer? I suspect some people end up putting it back together without them? I can probably make them work without that. I may try to find a substitute but I’m not so sure it is necessary. Just thinking out loud here. Any feedback is welcome. 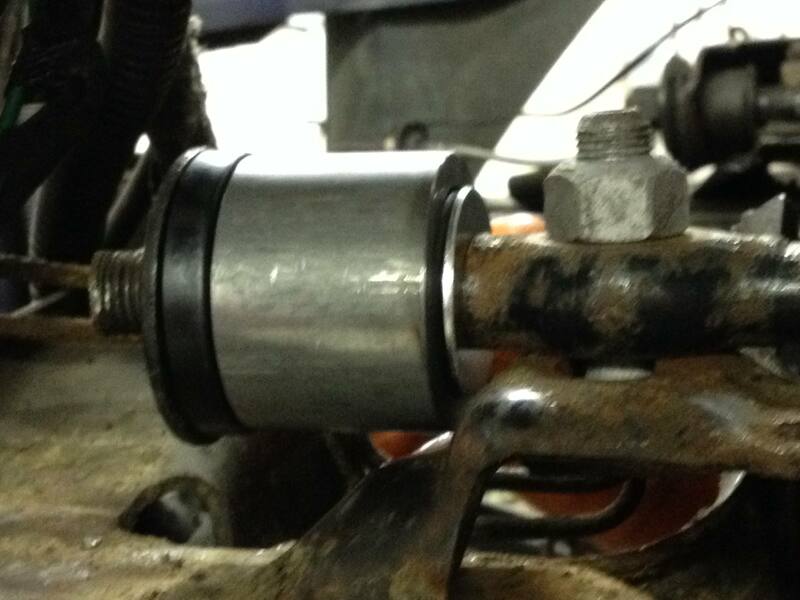 I’ve been working on the sleeve for the control arm bushing. 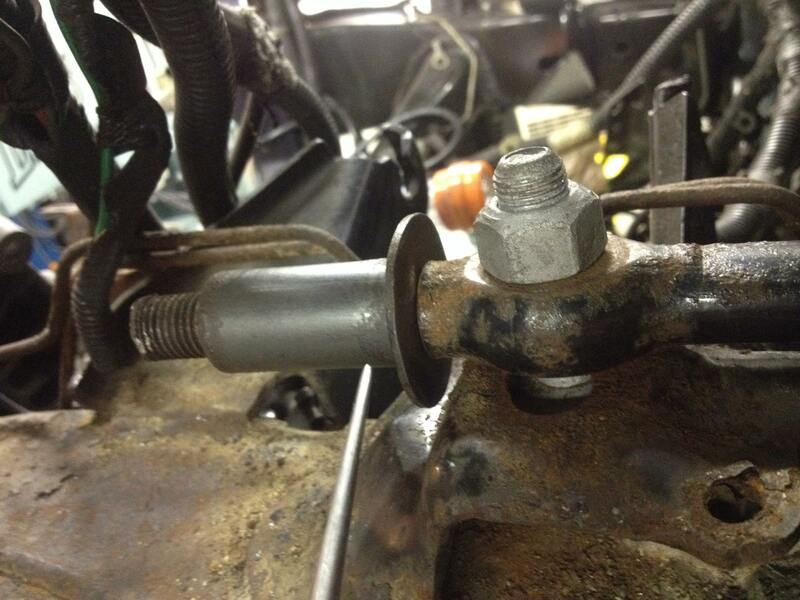 I’m trying to make it work with the Energy Suspension poly bushings for ease of installation and function. I did have to machine the inside of the sleeve for a proper fit. I know a sore spot with some previous upper control arms is interference between the sleeve and the mounting pad on the frame. This appears to have enough space. If the washer isn’t use as specified in the previous post I can probably compensate for that. You guys that have changed out your upper control arm bushings in your stock upper control arms with poly bushings, were you able to get everything apart without destroying the washer? Not here. Butchered the washers. No problem as I work at a fab/machine shop. 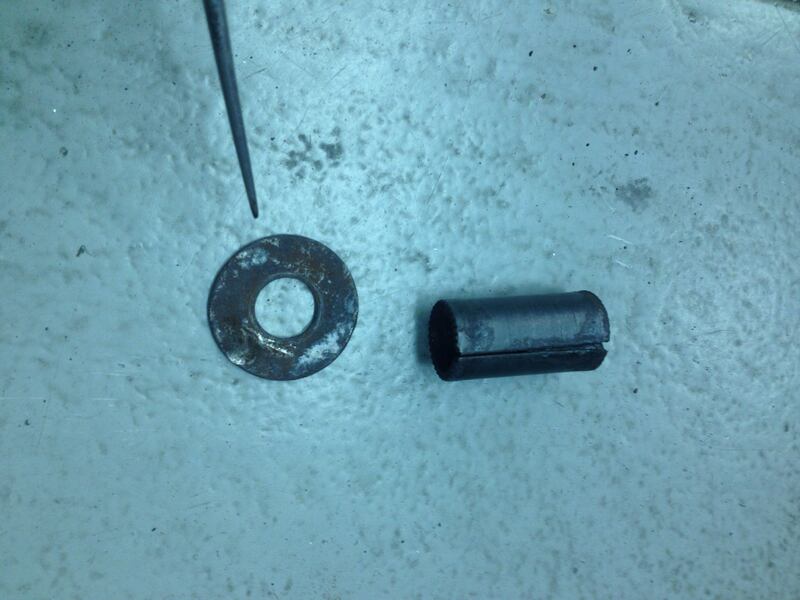 I did come up with a viable solution to the inner pivot shaft spacer/washer. It is stainless steel that I can machine the OD down to fit through the bushing sleeve. Just work your magic Richard.